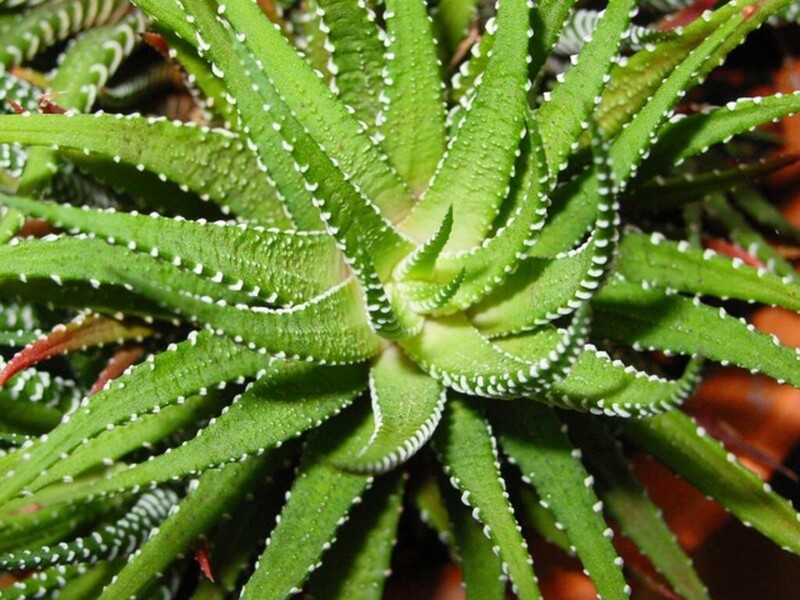 A. Aloe Vera Linn (Family - Liliaceae) is one of the 200 species of Aloe present in the world. It is a native of North Africa but presently found abundantly throughout the world. B. Aloe is derived from Arabia word Alloeh or the Hebren halel meaning a shining bitter substance and Vera is from Latin word, versus meaning true. C. Aloe Vera is a plant of great potential and value in the field of therapeutics, pharmaceuticals and cosmetic industries. It is used in indigenous (Ayurveda) and Unani systems of medicine and ill cosmetics, shampoos and anti-dandruff creams, etc. Aloe is particularly useful in the treatment of burns, blood disorders, chronic constipation, and skin diseases and as eye drops for relief in sore eyes and redness as well as bleeding and healing of wounds, etc. It plays an important role in gerontology and rejuvenation. The color and odor of each variety is characteristic and the taste bitter and nauseous. Aloe Pulp processed into Gel. The fresh PULP of Aloe Vera leaves (Aloe Vera Pulp) is processed and established into juice, gel and powder and then used in lotions, creams, soaps and other cosmetics such as shampoos. 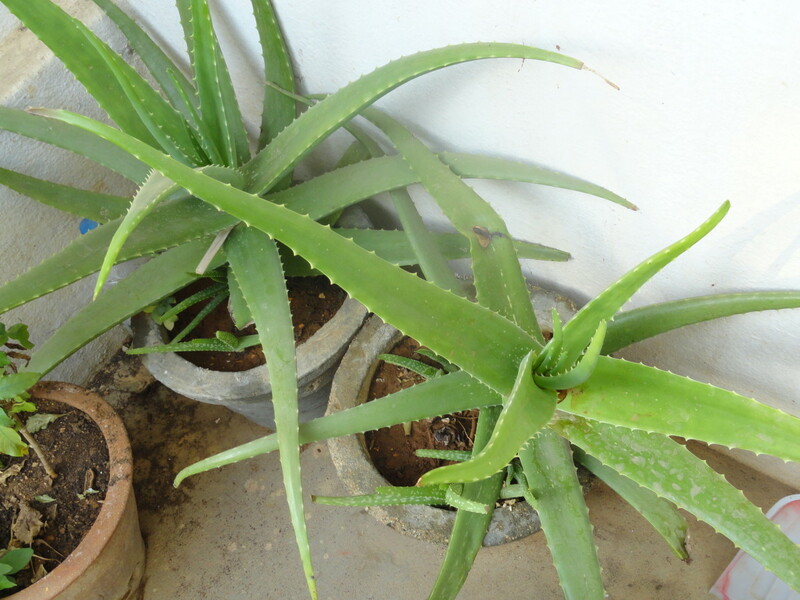 Aloe vera is highly suitable crop suitable for growing under rained arid zones in India. In irrigated conditions the plant yields leaves double or triple times. One Kg. of Aloe gel is obtained by processing 4 Kg. of mature Aloe Vera leaves. An amorphous, semitransparent mass called Vitreous aloe or livery aloe is obtained by heating and concentrating a viscous yellow fluid known as Aloe tic juice. This is available in very small quantity i.e. 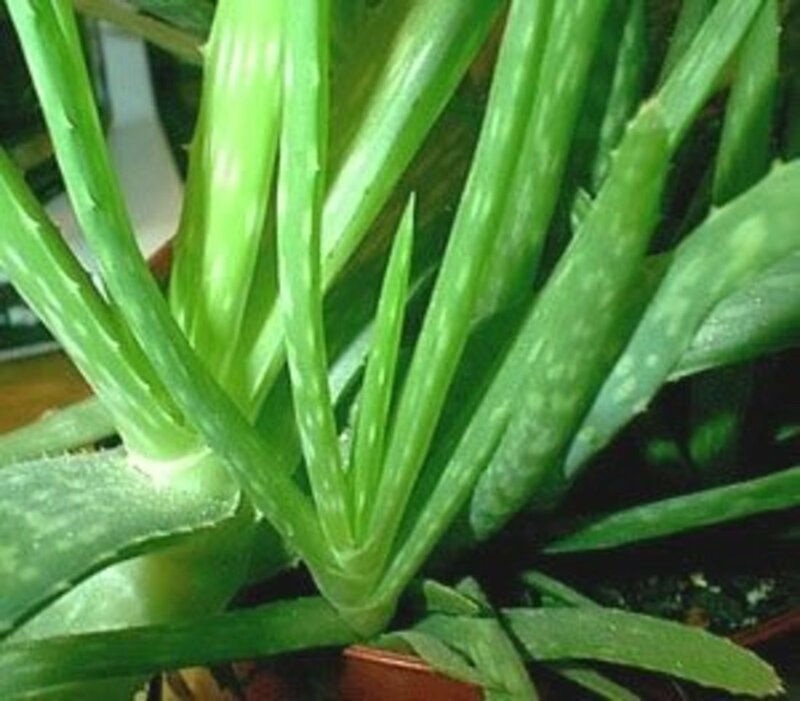 a few drops per lead is embedded in the peri-cyclic cells of the vascular bundles of Aloe Vera leaves. The aloe tic juice is allowed to flow away without any pressure or other means. The collected aloe tic juice is heated to get vitreous Aloe. This powder is mainly used to relieve constipation. It is a powerful purgative and improves digestion. 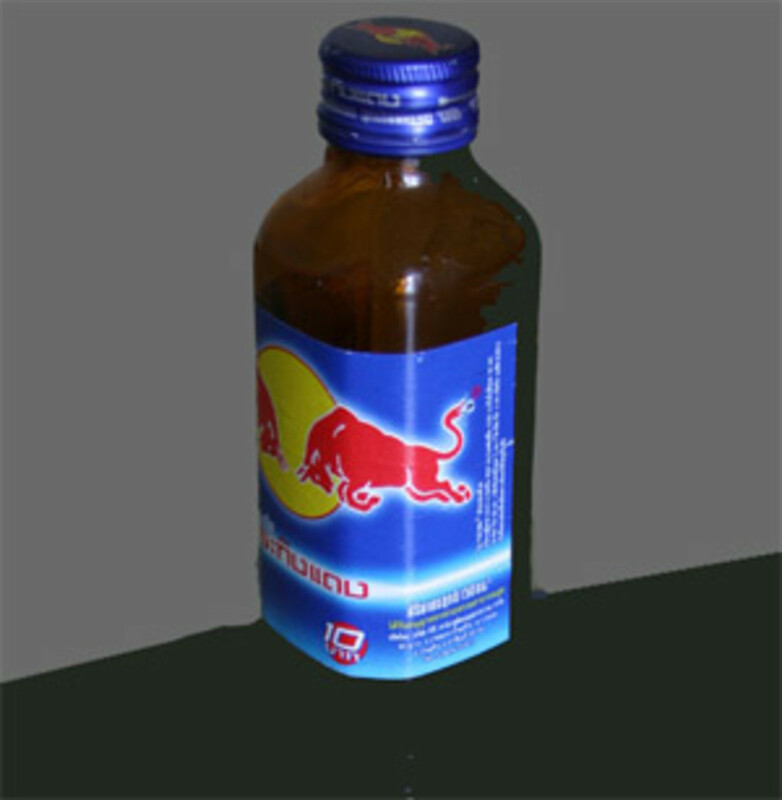 It is also used as a dye fixing agent in textile industry. 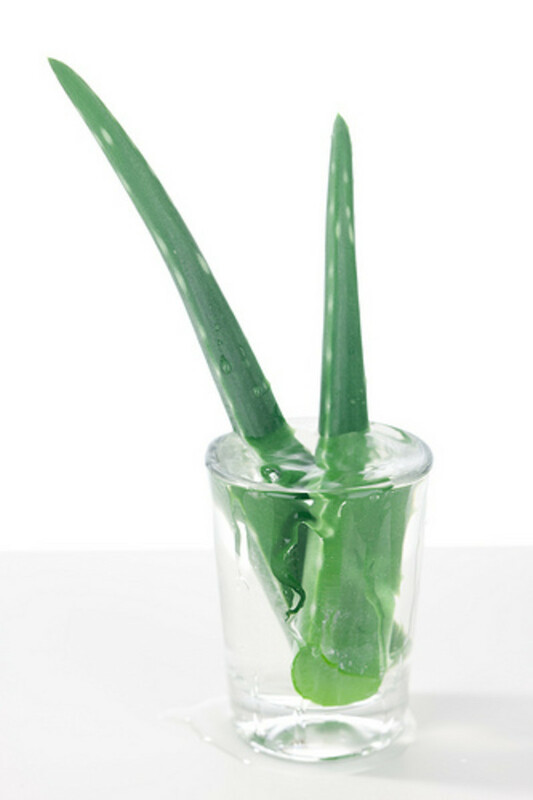 Before extracting Aloe gel from Aloe Vera leaves, the Aloe tic juice (vitreous aloe) must be separated from the leaves. Aloe has a high enzyme content (about 92 enzymes), which makes it a rare and valuable resource because enzymes help the body absorb basic nutrients while also purifying it. The Aloe plant has several uses. This plant is sometimes referred as "health plant". However, the parts used in indigenous system of medicine are juice of leaves and pulp. Aloe Vera plant has specific odor, prevalent in the plant but mainly confined in the resin portion. It is now a familiar ingredient in a range of health care and cosmetic products widely available and advertised in shops. Aloe has many therapeutic applications which are widely accepted in whole world. Aloe latex is an active laxative. Once it has reached the large intestine, it behaves like a pro-drug. In the colon it is hydrolyzed by the bacterial flora to form aloe medium9- anthronne, the active metabolic. Aloe gels are reported to be used for the treatment of various skin conditions (burns, abrasions, bruises, herpes etc.). 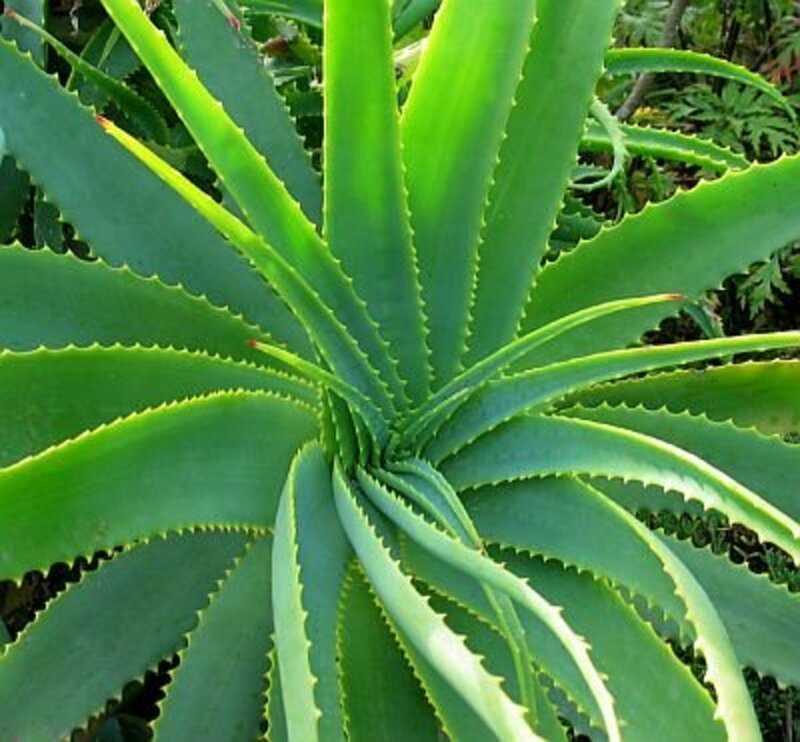 Hypogycemic actions have also been reported in Aloe extract useful for non-insulin dependent diabetics. The Aloe gel is obtained by filleting the thick leaf. The gel is colorless, gelatin like with hair like connective fibers. Aloe gel has been regarded as a safe additive, approved by US FDA for health drinks and cosmetics and skin care products. Aloe gel also showed significant acute anti-inflammatory activity. It enhanced wound contraction and shorter epithelization period and used in ear infection, liccups etc. Aloe extract, used in association with vitamin E and squalene, is also able to cause regression of any tumor already formed in mouse skin model. Aloe extract is also considered as a possible therapy for AIDS, in association with an antiviral agent (aside thymidine) as it is able to reduce the dosage of anti-viral by up to 90% reducing consequently the side effects. There is also evidence to show the efficacy of Aloe extract in chronic bronchial asthmatic patients. Aloe has also been used for centuries for a multiplicity of human ills, for example to correct kidney ailments, to enhance sexual excitement, to develop the mammary glands, to relieve headaches and reduce fever in children. Numerous clinical studies are now in progress to verify the effects of Aloe total extract not only in these diseases but also in arthritis and possibly colitis. The therapeutic efficacy of the clear gel taken from Aloe Vera leaves depends on the freshness of the gel. For example, exposure of the gel to light and air for about 1.5 hours greatly diminishes the therapeutic power of the gel and may totally destroy it for some applications. Aloe is reported to be tonic in small doses whereas in large doses it acts as purgative. It has been a favorite remedy for intestinal worms in children and anti-dysenteric. In the form of a lotion, it is recommended in catarrhal and purulent ophthalmic. Aloe dissolved in spirit is used as a hair dye to stimulate hair growth. A sweet confection prepared from the pulp of leaves is given in piles. Pulp mixed with honey and turmeric is recommended in coughs and colds. The juice of the leaves is useful in painful inflammations and chronic ulcers. Aloe based soft drinks are very common in Japan, Korea and some European countries. More recently, the use of Aloe gel in radiation burns has been advocated for relief from pain and itching and to keep down keratosis and ulceration thus slowing any possible change towards malignancy. Aloe for cosmetics: In modern days Aloe is also used for the production of medicated ointments, cosmetic creams - cold creams, anti-dandruff shampoos and lotions etc. In treatment of X-ray reactions and in radiation therapy, useful in palme eczema, ulcers on amputation stumps ulcers of advanced mammary carcinoma poison and burns. Relieve pain, burning and itching has antiseptic action, stimulation of rapid granulation and formation of new tissues, in electric injury, in treatment of arterial drug abuse, etc. When the parenchyma (the mucilaginous material in the leaves) is removed, the so called PULP or GEL-FILET is obtained. When the fibers are removed an opalescent liquid remains that is commonly called "Aloe Vera Gel" and after preservation, this is the liquid that is used in skin preparations and health drinks. Aloe Vera gel consists of around 99.3% of water. The remaining 0.7% are the solids that consist for a large part of polysaccharides of glucose and mannose type. Together with the enzymes and amino-acids in the gel, they give the gel the special properties as a skin care product. The natural juice is sometimes concentrated i.e., the water content in the juice is removed by heat at low temperature under vacuum. The gel stimulates cell growth and as such enhances the restoration of damaged skin. It moisturizes the skin because it has a water holding capacity. This moisture on the skin also has a cooling effect. As a drink, it protects the mucous membrane of the stomach especially when irritated or damaged. 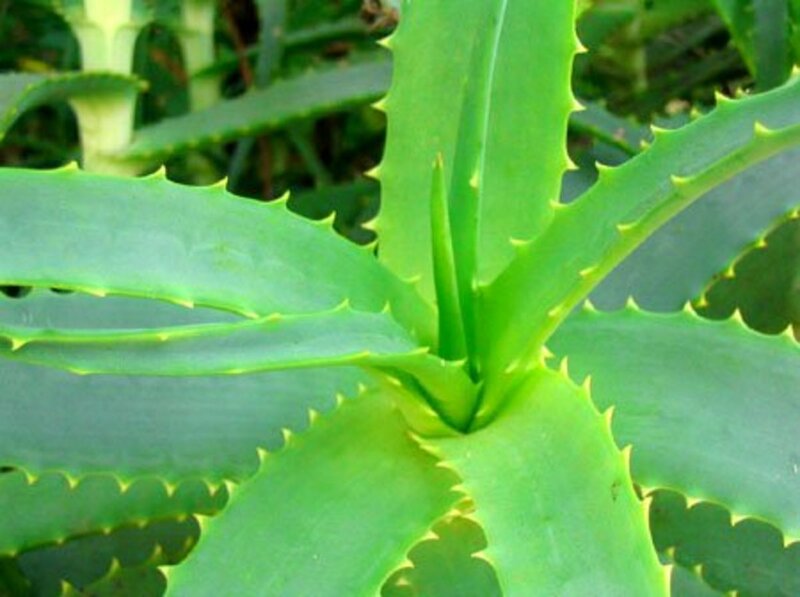 Aloe Vera gel is produced from the pulp in the leaves. Harvesting of leaves is done when the crop reaches maturity (about 8 to 10 months after planting in the fields). Leaves are cut by a sharp blade near the base of the plant. Leaves show loss of biological activity after a few hours (about 6 hours) following harvest. Most of biological activities is completely lost 24 hours after harvest at ambient temperatures. Decrease in activity happens even when the leaves are stored in refrigerated conditions, then rate of loss of activity is greatly reduced. Activity loss is also due to microbial decay of the pulp. High microbial counts will significantly reduce the biological activity of the product. The first exposure of the inner gel to microbes is when the leaves are harvested from the plant. Improper harvest of leaves (leaves in which the base is not intact and scaled) will greatly increase the microbial counts in the finished product. In fact it has been shown that the pulp, once extracted from the leaf and process has greater stability than pulp that is left in the leaf. This means shipping of leaves, even at refrigerated temperatures, will result in loss of biological activity. The overall timing of processing after harvest is extremely critical. The processing of the leaves and production must be completed as early as possible and in any case, within 36 hours of harvesting of the leaves. Leaves must be carefully handled while harvesting to prevent breakage and bruising. The other major source of microbial contamination is from the rind of the leaves. To prevent contamination of the gel, the leaves are soaked in a food grade disinfectant, which effectively reduces the microbial count. The harvested leaves come with number of foreign impurities such as stone, dust, mud etc. It is therefore, first, cleaned and then reduced to suitable size so as to facilitate extraction of pulp. The effectiveness of Aloe Vera products depends on 1) its cultivation 2) the timing of harvest 3) the timing of processing as also the 4) Process method and 5) the plant and machineries for processing. Aloe Vera pulp extracted from the center of the leaves contains celluloid matter that gives it a semi solid consistency. The celluloid pulp extracted from leaves is processed at low temperature to produce aloe vera gel. Filtering is done in number of stages without involving much heat so that nutrients are preserved. Internationally, Aloe products are manufactured using cold stabilized conditions to get concentrated PURE Aloe vera gel. Such process makes it possible to preserve the vitamins, minerals, enzymes and amino acids found in the fresh plant. 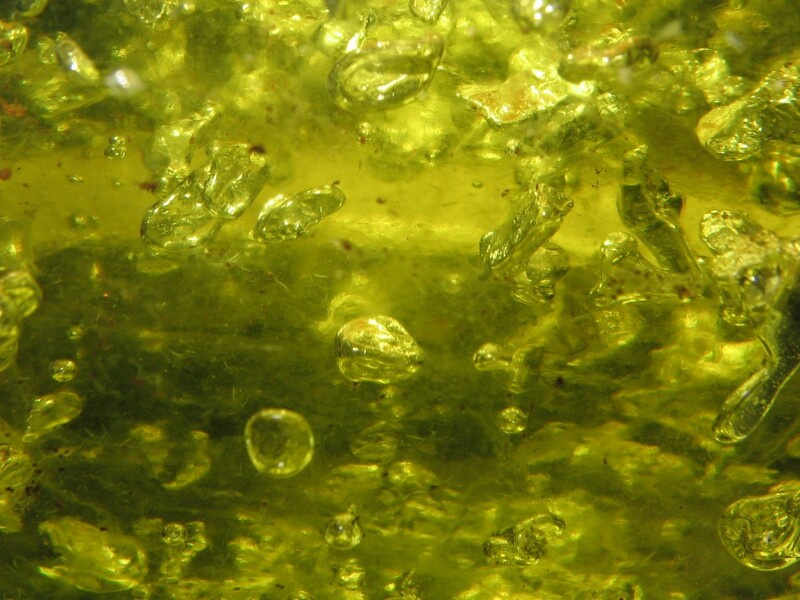 The process starts with separation of bitter yellowish liquid present in the leaves in very small quantity (few drops). This is irritant and laxative substance making the leaves/pulp unsuitable for consumption unless removed. This liquid is collected and dried to get light brown powder which is drug aloe. Sulphates are also extracted in the process because of the risk of allergic reactions. Do not use pesticides or herbicides in the field. Extract the gel from freshly harvested ripe leaves. This needs to be process within 3 to 6 hours of harvesting. This process must be at low temperature - cold process, to preserve all important ingredients. Aloin and Sulphites must be removed to prevent irritation. Do not use artificial flavoring or coloring of the gel. Take adequate precaution and hygiene. Processing of the leaves is to be done within 3 to 6 hours of harvesting. The plants are collected and cleaned properly to remove dirt and other microorganisms. 'The pulp is subjected to further process of filleting, homogenization, filtering, pasteurization and packing. The pulp obtained directly from the plant contains 0.5 to 1.5% total solids. Aloe Vera gel is extracted from fillet at temperature not exceeding 40 degree C.
Leaves are scrubbed and rinsed repeatedly and cold pressed to get inner pulp. It is cleaned of all fibers. Aloe Vera gel is made aloin free and sulphite free to avoid irritations. 'The Aloe gel concentrate is prepared by evaporation of the gel having 0.5 to 1.5% total solids under low temperature. The gel concentrate so obtained may be spray dried or freeze dried to get dry powder. For preserving some additive are added as approved by the client. 1. 'The important key elements optimum time, temperature and sanitation. 2. Aloe Vera gel is an unstable product when extracted, it starts losing it nutrient value with in few hours of harvest. 3. 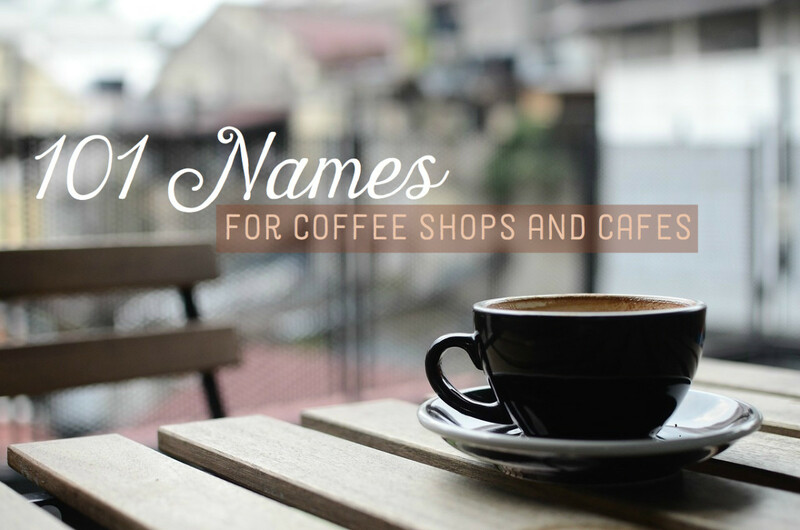 It is susceptible to discoloration and spoilage from contamination by microorganisms. 4. Proper stabilizing procedures are required before it is packed and stored. 5. Certain anionic polysaccharides are added to improve the stability and rheology of the gel. 6. Optimum Quality is ensured through low temperature cold process. 7. Low temperature process preserves nutritive elements and principal actives viz. vitamins, minerals, enzymes and amino acids. The Aloe Vera can be processed either as whole leaf or by removing the pulp from leaves. i. Increased total solids concentration. iii. Virtual absence of anthroquinones. iv. Increased permeability factors for enhanced uptake. v. Increased growth factors for quicker healing. VI. Broader range of micronutrients that rev up immunity. 3. Higher medicinal and nutrient value. Cultivation of Aloe Vera under own super vision. Avoid use of pesticides/herbicides in the agricultural field. Extract from freshly harvested ripe leaves immediately after harvesting. Stabilization : adopt stabilization systems to meet specific applications or governmental regulations. Avoid artificial flavoring or coloring to gel. Use proper packing bottles. Purification and conservation - key to the Aloe product quality. @Jayesh - I am far away from You. There are many Indian consultants and many more in Jamnagar itself. I think Reliance is single largest buyer of Aloe Vera. we want to start aloe vera farming as well as processing up to gel or juice. we are farmer from jamnagar gujarat, india. @Sohail - please send me your email. @sasi kumar - thanks a lot. wow super. it is a nice plant in herbs. i like it. @Thelma Alberts - Thanks a lot. Very informative hub. I have Aloe Vera in my garden and I always use them for skin irritation problems. Voted up and useful. Thanks for sharing and for your follow. After sun care with aloe is a must. 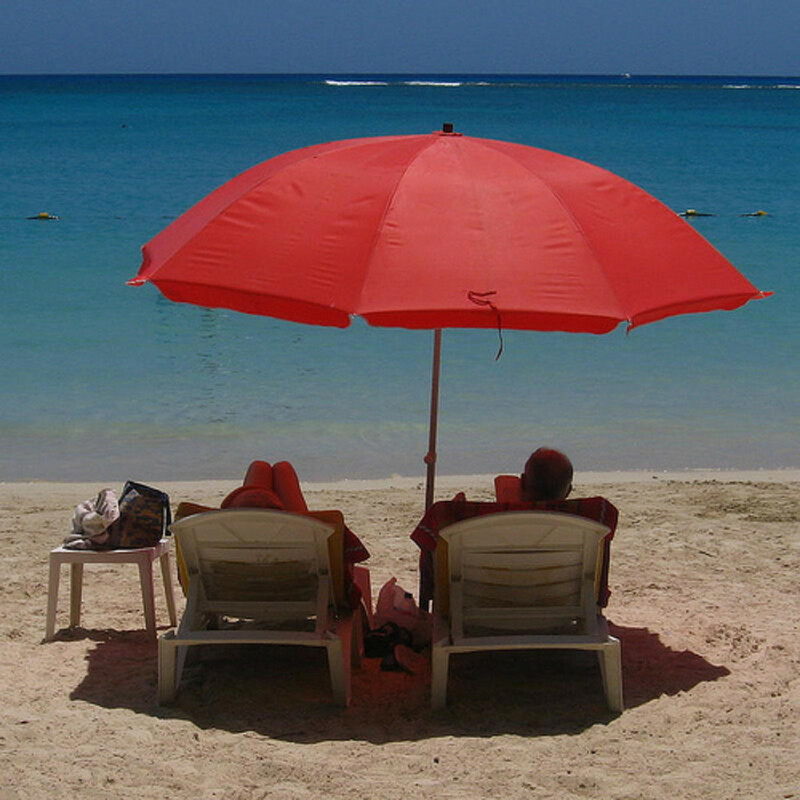 We hear all the talk about sun lotion yet the after sun care is just as important. I first learned of aloe when a friend had a burn. This plant is remarkable and I am told is easy to grow. You gave allot of information. Drinking it, hmmm, I think you have me convinced to at least try it. The shampoo is something also that I had never heard of. Wonderful information. Keep up the great work.